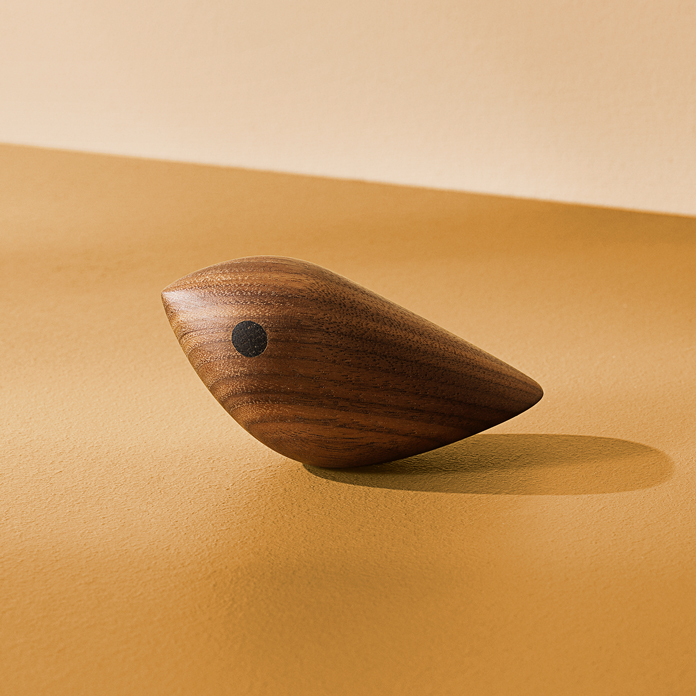 Unique rotating wooden birds, created in the 1950s by the Danish furniture designer and true artist, Jacob Hermann and now being manufactured by Warm Nordic. 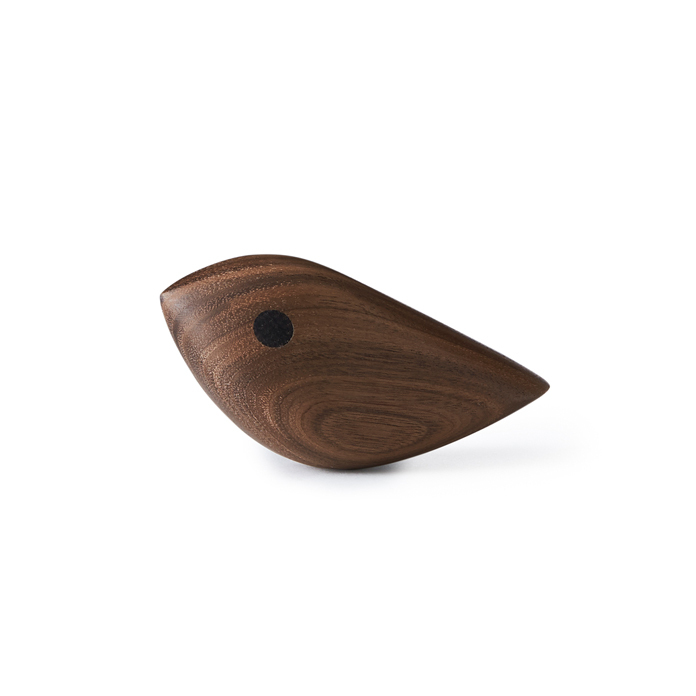 The Danish-manufactured Twirling Birds are ideal as a personal gift that will delight recipients of all ages. Each of the rotating birds has its own character, determined by the grain and colour of the wood. It can be used as a decoration or for play. You can easily spin round a Twirling Bird as an elegant version of the game ‘Spin the Bottle’. That is exactly what the artist used it for. As an elegant detail, the actual eye on some of the hand-polished Twirling Birds are also made from a little piece of wood. The beautiful birds come in an elegant box, which also makes them perfect for a sweet gift for someone you care about. Choose from several different models and exclusive oak, smoked oak or solid teak. The Danish furniture designer, Jacob Hermann, who saw the potential in even the smallest piece of wood, created Twirling Birds with a mixture of artistic sensibility and great empathy. The first of many birds were originally created out of the bits of wood and even roots, which he found on the beach at Skagen in Northern Denmark. The basis for Jacob Hermann’s design was wood as a living material with warmth and soul, and he handled each bird many times during the process until it was ready to depart from the carpentry workshop. In the 1950s, Jacob Hermann’s birds were exported to countries such as Japan, France and the United States via Den Permanente, which was a gateway to the world for the very best of Danish arts and crafts. The four Twirling Birds have been specially selected for the Warm Nordic range as a tribute to iconic Nordic design that invests modern décor with invaluable diversity and depth. Jacob Hermann possessed an innate love of wood and craftsmanship and pursued this love throughout his life. He was always open to change and used his multi-faceted talents to explore. By his own account, he was born on a farm at Viborg and was a silver medal-winning carpenter’s apprentice in the same area before graduating as a furniture designer from the School of Arts and Crafts in Copenhagen and studying painting at the Academy of Fine Arts. At the Academy, Jacob Hermann refined his talent for drawing and painting and shared his knowledge with several other trend-setting Danish designers from the mid-20th century. During the course of life, Jacob Hermann also built several houses for his family with his own hands. As a passionate carpenter, he always returned to wood and proud craftsmanship. With respect, Jacob Hermann fashioned, and captured the essence of everything from the tiniest morsel of wood to the hugest chunk of driftwood.